Very often implementation of balanced scorecard system fails because of different reasons. At the same time mistakes made in development of strategy and selection of key performance indicators are rather typical. As they can be systemized they can surely be avoided. Balanced scorecard is used as a strategic management tool that communicates operational in strategic management that puts strategy into action. It doesn’t matter in what business area the company operates. Balanced scorecard can perfectly do its job in case a number of certain requirements and norms is observed. Some business owners use balanced scorecard to implement strategic goals while others use it as a measurement tool. Very often, strategic goals concern improved financial results, like increase of market share, company value, net income and cash flow. At the same time, balanced scorecard is very effective performance management tool that can evaluate business productivity. It happens that business owners and top managers never know that their business can earn more than it currently does. The company gets profits, employees get competitive salary, shareholders have sufficient return on their investments. But all of a sudden, having used balanced scorecard for a while it turns out that the business can do more, and that company potential is not used by 100%. 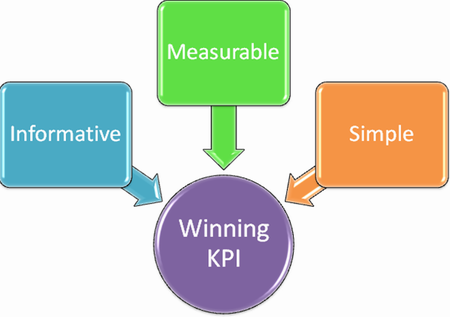 What is an effective KPI? Balanced scorecard is a great tool to locate strengths and weaknesses. In such a way, both company top management and ordinary employees can understand what needs to be improved to implement strategic goals. Balanced scorecard will create strategy maps which a very easy to read. Just imagine that every employee in the company can understand peculiarity is of the company strategy. Moreover, ordinary personnel can be aware of own contribution to implementation of strategic goals. This is very important for an effective work of balanced scorecard. In measurement of business productivity it is important to find the right indicators, also called key performance indicators. If you measure secondary things you will operate secondary information which is nothing to do with critical success factors for your business. That’s why, the right choice of KPIs is a precondition for success. At least, top management will operate the right data and thus it will be able to make the right decisions. It is important to remember that balanced scorecard is not a magic tool. It will not substitute strategy, and it will not make decisions. It is just a tool in humans hands.